Find a vacation home to rent in Torre Colonna-Sperone from our list of vacation rental properties. Campaya has over 23 vacation homes available in Torre Colonna-Sperone, which give you the possibility to locate a unique accommodation in Torre Colonna-Sperone which completes your check-list in search for the perfect self catering vacation apartments in Torre Colonna-Sperone or vacation villas in Torre Colonna-Sperone. This beautiful holiday home with private pool is set in a panoramic position in Altavilla Milicia. Semi-detached house with shared pool and large outdoor areas where your children and four-legged friends can play. This part of a two-family house with panoramic views and private pool is located near Altavilla Milicia (about 2 km). Beautiful holiday home with private pool 5 km from Altavila Milicia. The house is on two levels and is decorated with typical Sicilian ceramics set in the beautiful internal staircase. This nice holiday home with private pool is located in Altavilla Milicia (Palermo), just 2 km from San Nicola L'Arena away. It extends over the ground floor and the 1st floor. Detached holiday home in the beautiful area of Altavilla Milicia, in Sicily, with a large equipped garden where you can organize lunches and dinners while your children run around and play. 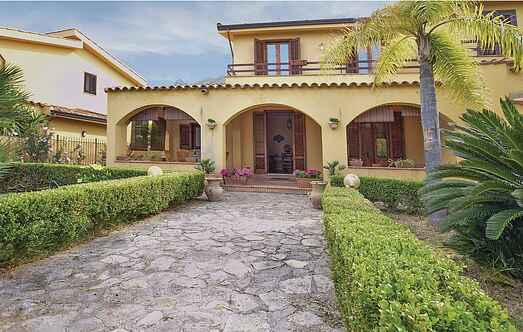 This holiday home is located in the gulf, which includes Capo Zafferano and Cefalu. The huge bedroom offers a wonderful sea view. Barbecue on the porch while admiring the unique panorama. Terraced house set at only 200 m from the sea (pebbly beach), at 4 km from Altavilla Milicia on the Tyrrhenian coast of Sicily. Lovely views over the gulf between Capo Zafferano and Cefalù. This holiday home near Altavilla Milicia (2 km) aoffers a large L-shaped patio with a central part equipped with tables and garden furniture and overlooking the splendid swimming pool. This beautiful holiday home is located in the territory of Altavilla Milicia (4 km), in the northern part of Sicily, just 700 m from the beach equipped with restaurants and bazaars. 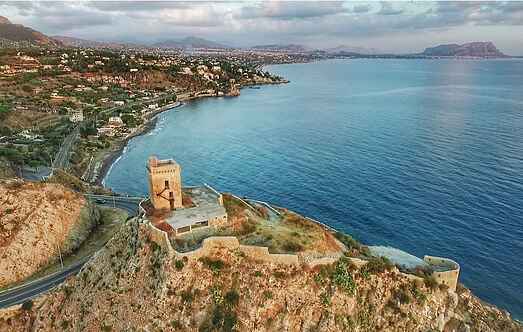 This nice holiday home is located about 2 km from Altavilla Milicia, between the towns of Palermo and Cefalù. Villa Francesca is a beautiful holiday home set in the annex of a villa about 2 km from San Nicola L'Arena. Beautiful holiday home located in the hills of Altavilla Milicia (1,5 km) and with spectacular sea views.